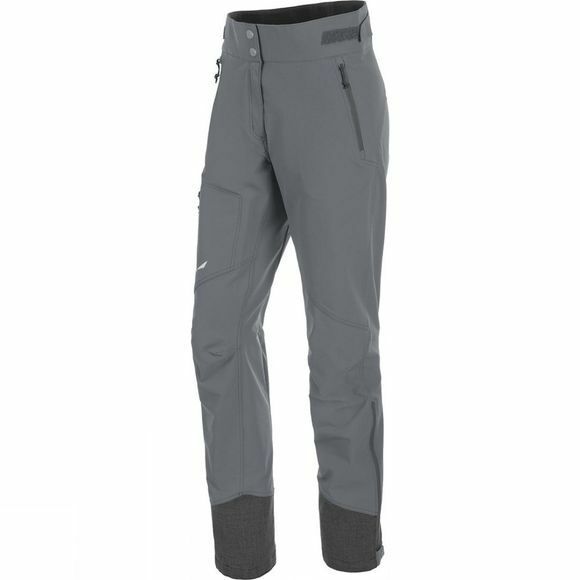 These Womens Ortles 2 DST Pants from Salewa benefits from four–way stretch mobility and high breathability to enhance wear comfort during strenuous activities. The main fabric contains natural bamboo fibres and has superior wicking performance so the skin stays dry. The cuffs are reinforced and they feature internal hooks and loops for attachment to footwear. With a PFC–free water–repellent finish.